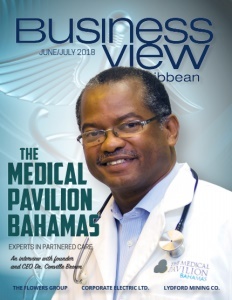 Business View Caribbean interviews Dr. Conville Brown of the Medical Pavilion of the Bahamas, as part of our focus on healthcare in the Caribbean. 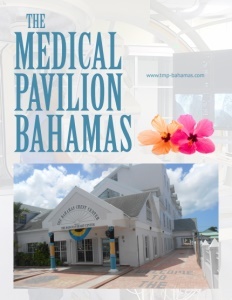 The Medical Pavilion Bahamas (TMPB) is revolutionizing healthcare in the Caribbean. Based on a unique “Partnered Care Model”, where all people, regardless of financial wherewithal, have access to specialized treatment for life-threatening issues via this special Public-Private Partnership with the Government and General Public. The Pavilion is a dream realized for Founder/President/CEO Dr. Conville Brown. More than 50 full-time medical staff and international directors, including world-renowned specialists, diagnose and treat patients, help save lives, and improve the quality of life for thousands of patients every year there. BVC: Dr. Brown, what spurred you to create The Medical Pavilion Bahamas? Dr. Brown: “I’d always wanted to practice Cardiology back home in the Bahamas at the level to which I’d become accustomed during my training to become an internist and cardiologist in Canada, Jamaica, and the United States. So, when I returned home in 1990, I started The Bahamas Heart Centre in Nassau because there was not any significant cardiology infrastructure available from which to practice. 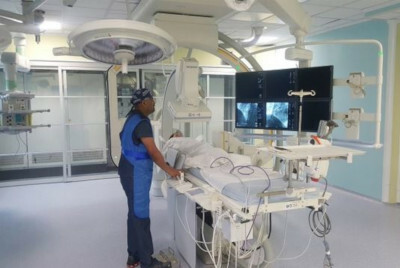 It took personal sacrifice, private investment, and borrowing money to get my initial set of cardiac equipment, and to open The Bahamas Heart Centre (which was primarily for consultative and non-invasive cardiology) at a cost of about US $300,000. Since then, my investment and commitment to advancing healthcare has increased exponentially, and we’ve expanded not only in Nassau, but in Grand Bahama, and other islands and countries as far south as Jamaica and the Eastern Caribbean. 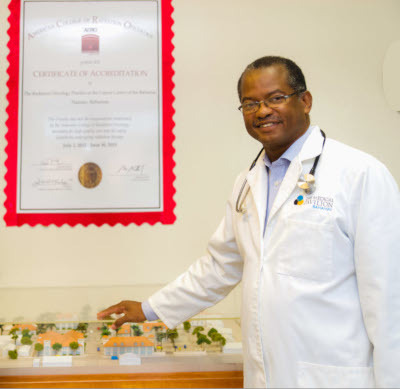 “In 1993, we bought and renovated a 1,200-square-foot house (now known as The Medical Pavilion Bahamas) with a view to housing all of our cardiac services under one roof. The plan was to expand same to 5,000 sq. ft. Then, I was approached by a heart surgeon (our present Minister of Health in the Bahamas), who asked to join me in the new centre. We really didn’t have the space – as it was just for my wife, Dr. Corrine Sin Quee-Brown, a pediatric hematologist-oncologist, and I – but the opportunity to add cardiac surgery was too much to pass up. So, I increased the size of the building to 10,000 sq. ft., more than doubled the cost, and we brought a valuable service to the Bahamian people. At that point, we changed the name to The Bahamas Chest Centre, Home to The Bahamas Heart Centre. We also accommodated Pediatric Cardiology, Cardiac Anesthesia Consultants, and eventually Pulmonology to truly have developed a full-fledged Cardiovascular and Thoracic Service for our Bahamas. BVC: What does the Partnered Care Concept entail? Dr. Brown: “We developed our own healthcare delivery model called “Partnered Care”, which recognizes that neither the government, nor the private sector, nor the consumer (the user sector) can afford healthcare in its present format, anywhere in the world. We needed to make services more readily available to the general community in order to enhance equity and access. So, in 1990, before I saw the first patient, we set up a three-tiered payment structure for patients. If a service were to cost $10, that price was applied to an insured patient. The self-paying private individual was discounted 25 percent to $7.50, and the government patient, who was neither insured nor able to afford private care, was given a 50 percent discount to $5.00. “This practice was extended from a full cadre of Cardiology Services to Cardiac Surgery, Cancer Services, especially Radiation Therapy, advanced imaging services such as high resolution CT Scanning and Nuclear Medicine and Cardiology, and most recently, fully digital Haemodialysis Services. “Based on us having done that for over 20 years, the Prime Minister of Antigua asked us in 2009 if we would consider building a similar cancer centre in Antigua that would allow patients access to the services at a discount. We agreed, with the understanding that the governments of The Organization of Eastern Caribbean States (OECS) would support the centre for their constituents. Today, The Medical Pavilion Antigua is a 20,000-square-foot facility housing The Cancer Centre Eastern Caribbean, and it will house The Heart Centre Antigua, and an imaging centre restricted to CT and PET scanning for cancer and heart patients, amongst others. “We partner with local hospitals and professionals because we feel it’s important to complement and supplement their services, rather than compete. We provide advanced cancer services – they still do chemotherapy (medical oncology) and surgical procedures, while we provide radiation therapy. When it comes to the heart, we plan to provide advanced interventional procedures (angioplasty, stents for heart attacks, fix heart valves, put in pacemakers, etc.) for the whole sub-region of the Organization of Eastern Caribbean States, which numbers nine countries and around 700,000 people. BVC: What services are provided at TMPB? Dr. Brown: “The Medical Pavilion Bahamas is my parent company, and that facility just keeps growing with a whole host of services. 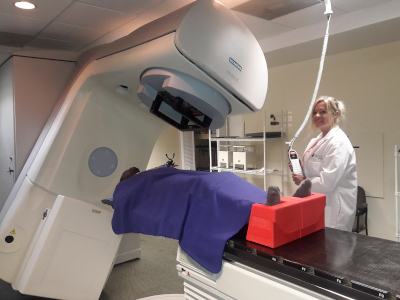 We have 10-plus centres in the Pavilion, including The Heart Centre Bahamas, The Cancer Centre Bahamas, and The Imaging Centre (the only nuclear imaging facility in the country). We have our own lab and pharmacy and the first fully digital haemodialysis unit in the Bahamas, and possibly in the Caribbean. “We’ve started The Partners Clinical Research Centre, where we do research locally, as well as for international companies, and we participate in clinical trials, FDA trials, First in Man Procedures, etc. We’re also very proud of The Partners Stem Cell Centre. We’re active in stem cell research and therapies for heart disease, and last year, we started an anti-aging, anti-frailty treatment program using stem cells, in association with Longeveron, initially associated with the University of Miami. It will be a real boost for trans-national medical care (medical tourism) in the Bahamas because we can administer the stem cells here in The Bahamas, but they cannot be administered in the US yet – and that’s probably another five years away after the completion of other clinical trials. “In March, we opened The Institute for Advanced Medical Procedures to provide high-tech advanced procedures that cannot be done in North America. 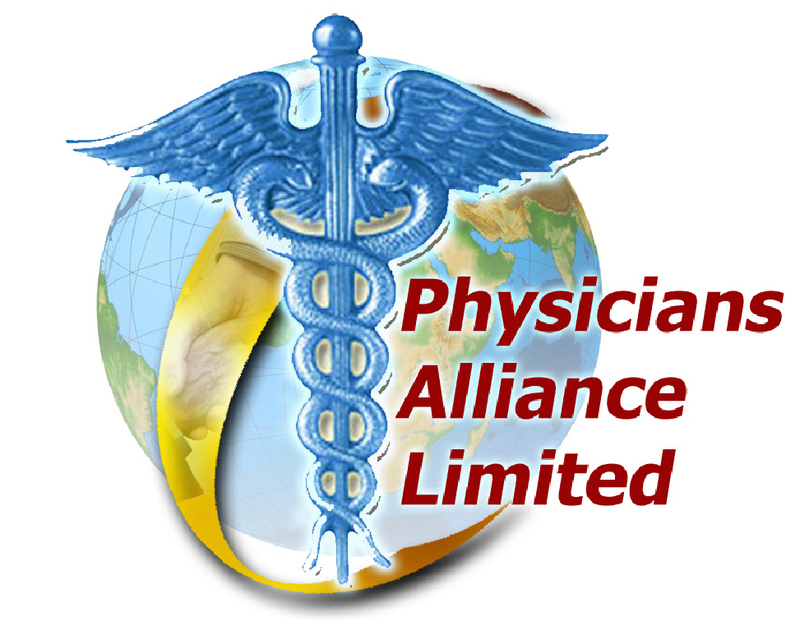 We render these services in the Bahamas with FDA Rigor (international standards maintained) In a Non-FDA Jurisdiction. The Institute will allow the early introduction of new devices and technologies from Europe and elsewhere, before they have achieved FDA Approval. Once they are certified, we’re able to adopt those technologies on a commercial basis and make them available to people from North, South, and Central America, in some instances, years before possible FDA Approval. BVC: What are the biggest healthcare challenges in the Bahamas? Dr. Brown: “The biggest challenge is money. We, at The Medical Pavilion Bahamas, concentrate on life-saving technologies dealing with heart, cancer, kidney failure, and critical care. Having said that, what probably kills more people is not having ready access to these requisite services. When we started our Partnered Care Model, it was strictly about reducing costs, voluntarily on our part, so we take the loss while affording less fortunate individuals increased access. It’s really unfortunate that patients sometimes don’t do as well as they could have, simply because they didn’t have the funding. That’s on the service receipt side. BVC: What is your vision for TMPB over the next five years? Dr. Brown: “I’d like to leave The Medical Pavilion Bahamas in a pristine location, where it has electronic medical records, and a paperless environment. We also want to be up to date on our IT and social media presence. Investments will be in the form of enhancing what we do now, while keeping our finger on the pulse for what the country needs, and helping to make it happen. Check out this handpicked feature on Milo Butler and Sons Ltd. – Bahamas.